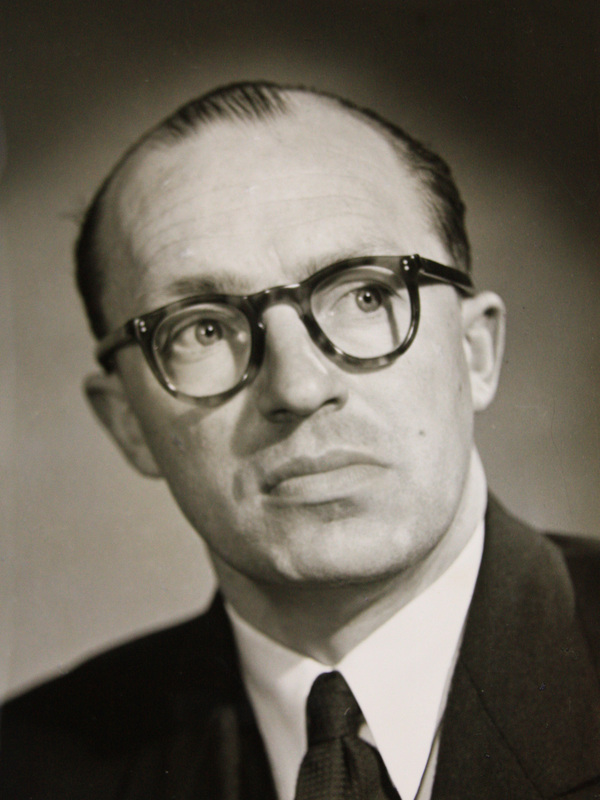 Aloys Fleischmann (1910-1992), Irish composer, conductor, scholar, organiser, professor of music and Freeman of the city of Cork, was of German stock and became more Irish than many of the Irish themselves. His grandfather, a church musician, settled in Cork in 1879; his mother was born there, studied the piano in Munich, married another German church musician, who came to Cork with her to work in Cork’s North Cathedral for fifty-five years. The Fleischmanns were friends with people active in the Gaelic cultural movement such as Terence MacSwiney, Daniel Corkery and Carl Hardebeck; their son grew up imbued with their veneration for the Irish heritage. He became a fluent Irish speaker; he spent thirty years researching Irish traditional music; as a composer he sought to develop a form of art music building on the folk legacy in combination with European music. He worked all his life to have children given access to the arts in all schools; he founded an orchestra and an international Choral Festival to provide incentives for active music-making in university and city. ‌The contribution of this immigrant musician family to the cultural life of their adopted country was acknowledged by city and state during 2010 with a year of celebration organised under the auspices of Cork City Council, which was opened by the President of Ireland. Aloys Fleischmann was born in Munich, Germany to Cork-based German musician parents. His father was organist and choirmaster at the Catholic Cathedral of St Mary and St Anne; his mother a pianist and teacher. He went to school in Cork, and graduated from University College Cork with the degrees of BMus (1931) and MA (1932) and subsequently studied composition, conducting and musicology at the State Academy of Music and at the University of Munich. In 1934 he became Professor of Music at University College Cork, a post he held until his retirement in 1980. 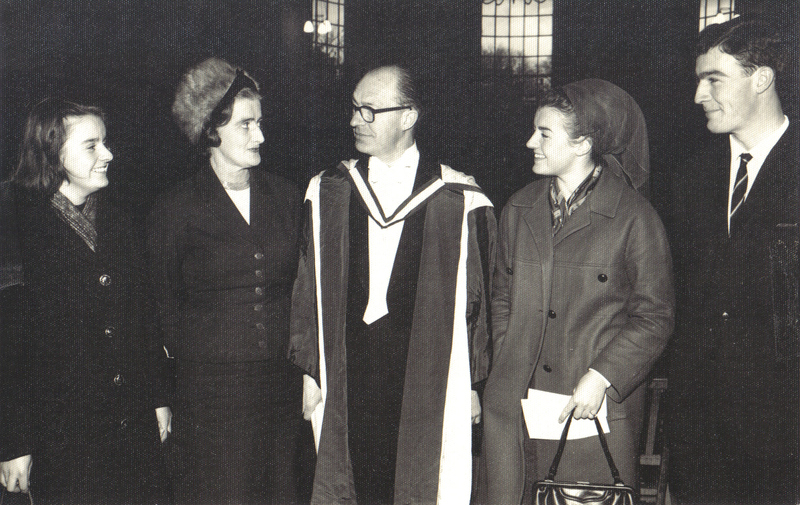 The National University of Ireland awarded him a DMus degree in 1963. Fleischmann composed large-scale works for chorus and orchestra, five ballets, a symphony, several song cycles and many chamber and solo works. He was a founder of the Cork Symphony Orchestra (1934), Cork Orchestral Society (1938), the Cork International Choral and Folk Dance Festival (1954) and a crusading member of many organisations and committees. He was a highly influential figure in the musical life of the country. His Music in Ireland of 1953, published by Cork University Press, presents a survey of the state of music in the country by the mid-twentieth century, which served as the basis for his many campaigns to bring music into the life of the people, and in particular into the schools of the nation, and to have it taught there by properly qualified teachers. His major work, Sources of Irish Traditional Music was published in New York after his death in 1998 and compiles all the traditional folk songs printed up to 1855. He was a member of the Royal Irish Academy and of Aosdána, Ireland’s state-sponsored academy of creative artists. Other honours included the Freedom of the City of Cork, an Hon. MusD from the University of Dublin, the Order of Merit of the German Federal Republic and the Silver Medallion of the Irish American Cultural Institute. The Fleischmann family were immigrant musicians, Aloys Fleischmann’s grandfather having come to Cork in 1879. Their story shows how successfully Ireland can integrate her immigrants; also how outsiders can adopt the culture of their host country, appreciate its value sometimes more than the people themselves, and contribute to it in a productive fashion. Aloys Fleischmann is unquestionably one of the most important figures in Irish music during the last century. For complex historical reasons, the tradition of Irish art music has been somewhat retarded in its development compared to elsewhere in Europe. When Fleischmann was a young man, concert life in Ireland was very restricted as there were so few professional musicians in the country. Educational opportunities were also very limited and there were few composers to speak of. With remarkable vision and enterprise, Fleischmann devoted most of his career to transforming these dispiriting circumstances and creating the conditions in which a national musical life of greater richness could begin to flourish. Born of parents who were both distinguished musicians in their own right, Fleischmann read Music, English and German at UCC before completing his studies in Germany between 1932 and 1934. His brilliant academic gifts were abundantly in evidence even as an undergraduate and on his return to Ireland he was appointed to the Chair of Music in University College Cork at the age of only twenty-four — becoming one of the youngest professors in the history of the National University. He promptly threw his energies into building up the music department of the College and enriching local musical life by means of a variety of important practical initiatives. Persuaded that the only means of ameliorating the state of music in Ireland lay with improved education, he sought to recruit graduates who could be sent out into the community as properly equipped music teachers. He devoted much time to lobbying politicians and campaigning for radical reforms to the primary and secondary school curricula to enhance the provision for the teaching of music, founding the Music Teachers Association in 1935. He believed passionately that university music departments had a wider commitment to society and to this end sought to foster music making in all its forms in the city. In 1934 he founded the University Orchestra, which he trained to a sufficiently high standard to give regular broadcasts on Radio Éireann (it later became the Cork Symphony Orchestra, which is still in existence). 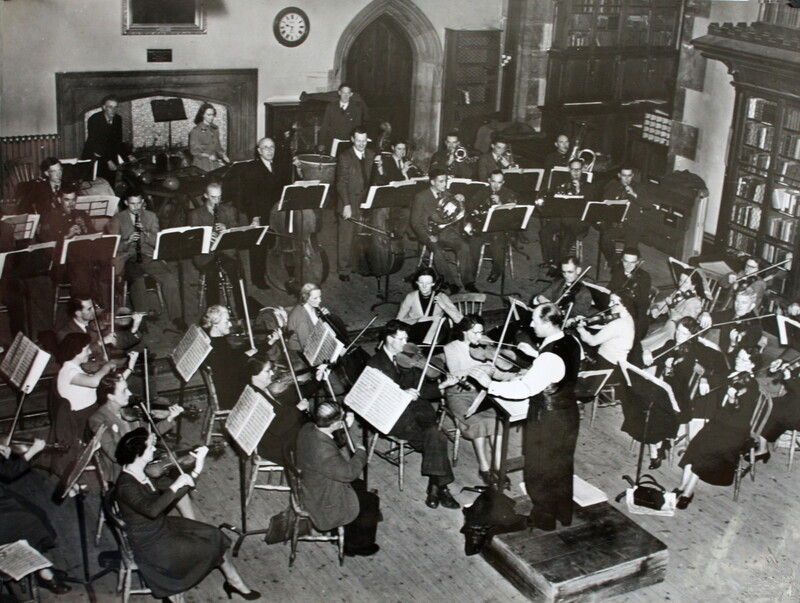 In 1938, he initiated the Cork Orchestral Society, which brought distinguished national and international performers to the city to participate in its professional concert series. With the choreographer and dancer Joan Denise Moriarty he established the Cork Ballet Group in 1947 (later becoming the Cork Ballet Company) which eventually enabled the foundation of the professional company Irish National Ballet. In 1954, he set up the Cork International Choral and Folkdance Festival, which acquired an additional dimension in 1962 with the inauguration of the Seminar on Contemporary Choral Music. Some of the most distinguished figures in contemporary music accepted commissions to write works for the latter event over the years, including Zoltán Kodaly, Darius Milhaud, William Walton and many others. Fleischmann also made an extremely distinguished contribution as a scholar. In his youth, he produced notable work on medieval Irish liturgical manuscripts, and in 1952 he edited Music in Ireland: A Symposium, a book that is now generally regarded as marking the beginning of modern musicological studies in Ireland. In later years, however, his attention turned increasingly to Irish folk music. His magnum opus is the posthumously published Sources of Irish Traditional Music, a comprehensive annotated catalogue of some 7,000 folk tunes which appeared in print between 1583 and 1855. Perhaps most importantly, he was also a gifted composer, who left a corpus of work of unusual significance. His output is not large, but includes orchestral works, several ballets, choral music and songs. Some of these compositions rank amongst the finest achievements of any Irish composer at this period. He was one of the first composers to make a serious attempt to evolve a distinctive modernist mode of musical expression derived from Irish folk music and to engage with a variety of themes relating to Irish subject matter, both historical and contemporary. This aspect of his work offers an intriguing parallel to the activities of generation of Irish writers active during the Irish Literary Renaissance.